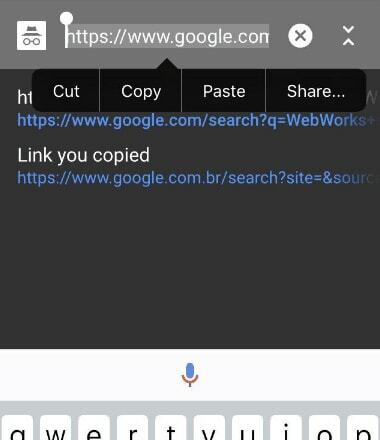 NOTE – Google made an update on 03/25/2018 and this method no longer works to create a review box link pre-filled with 5 stars. This method will still work to create a link that will pop open the review box, but it will not be pre-filled with 5 stars. This still has a lot of value, as you can include leading questions and comments when emailing customers asking for reviews. See “crafting an email” below. Sign up for our newsletter and we will let you know if/when we find a new 5-star method. With more than 90% of consumers researching online before ever contacting a business, positive public business reviews are very important for every small business. How do you get reviews on Google My Business? While it is not feasible for every business to directly contact customers and clients to ask for a review, those businesses who can – Should! And more than asking for a review, businesses should send a direct link to the actual review form to make it super simple for customers to review the business on your Google My Business page, especially for businesses who serve local customers. After completing a project at Search Centered, we send a simple thank you follow-up email to clients. After thanking new clients, we wrap up the email by asking for a review on our Google My Business listing. As you see (if you click), this URL automatically loads the Google My Business review form so clients can easily leave their review of Search Centered. This direct link means there is no searching, frustration or abandonment of the review mid-process when the client starts to leave a review. We focus on Google My Business reviews because… Well, Google rules the internet, right? Sure, reviews on other websites are nice, but Google is where it’s at! Also, reviews on your My Business listing will help boost your results in Google search results. 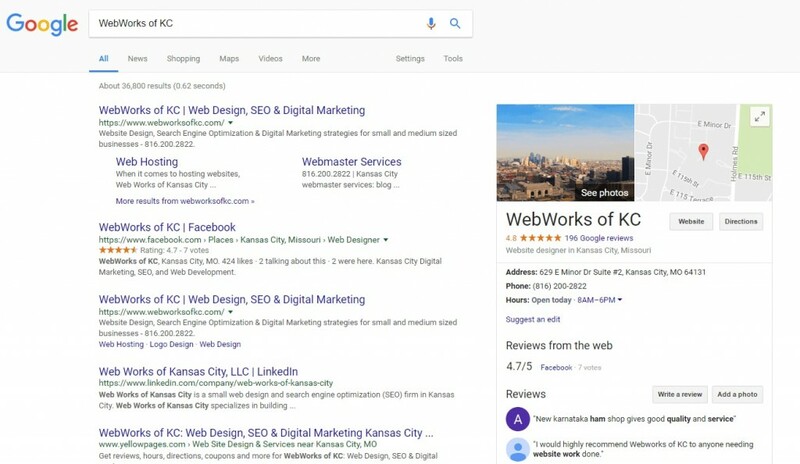 More than 80% of all internet searches are done through Google and when a potential customer searches for your business with Google, the average rating of your reviews on Google My Business are displayed on the results page with a link for the searcher to read all of your Google My Business reviews. Business name, address, phone number, reviews and more information are displayed in the Knowledge Graph when users search for your business name. 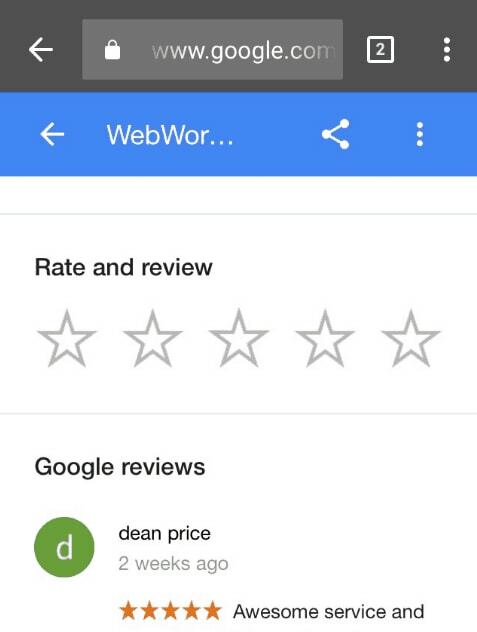 Absolutely, online reviews make a difference, and specifically Google My Business reviews. 84% of people trust online reviews as much as a recommendation from a friend or family member. As well, research shows that 5 reviews is the magic number of Google My Business reviews. 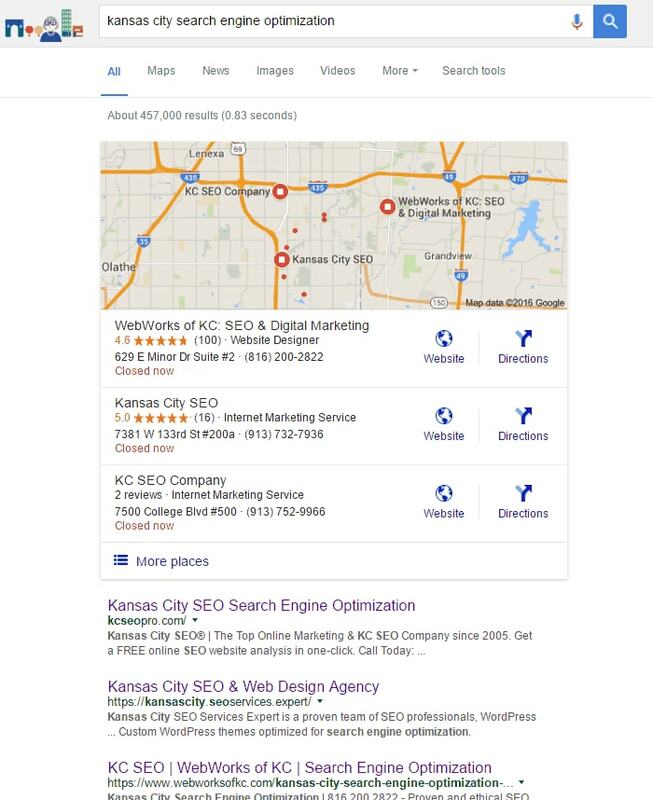 Once your business hits 5 reviews on Google My Business, your business will likely start seeing benefits in organic search results and the “Local Pack” of search results. The third way Google My Business review are valuable is because a user must have a Google account to leave a review. When an account is attached to an online review it is more likely to be a legitimate review from a real person, not a fake review created by the business owner to make their business look good. If your customer wants to remain anonymous, move on to the next customer. Don’t spend too much time trying to convince a customer to create an account or to use their real name. Ask that customer to leave your business a review on your business’s Facebook page or email you a testimonial you can add on your website, instead. This Google 5-star review link method works on all devices and all browsers. Most of the automated tools do not pre-fill the review box with 5 stars. Many of the tools cannot handle “special” characters like, ampersands and dashes. Every other method – automated or manual – fails to open the review box pre-filled with 5-stars on at least one device or browser. Most notably, all these methods fail on iPhone using either the Safari or Chrome browser – and many fail on both browsers. Google is continually updating all aspects of their products and services. The process to create a universal URL to the Google My Business review box has change multiple times over the past two years – and the actual name of the service has change many times as well (Google Places, Google+, now Google My Business). Creating a universal direct link URL to the Google My Business review box pre-filled with 5 stars is a little bit of a process, but it is well worth the work. 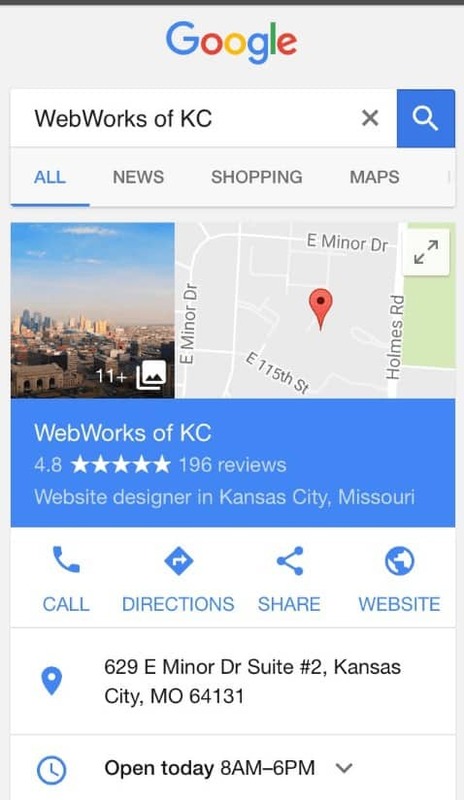 If you don’t already have it, create a Google My Business page for your business and verify your address. We can create your Google My Business page or evaluate your page. Use incognito mode on Google Chrome. Open a new incognito tab. Incognito mode ensures you are not logged in while creating your direct review link so your username/account doesn’t become part of the URL that you send to clients. Search for your business name exactly as it appears on your Google My Business listing. Your business’s Knowledge Graph should show up with all of your business information. If you don’t see your business, just modify your search a little – include your city/state, phone number, address, etc. – until your business pops up. Scroll down a bit, find the “Review and Rate” section. Tap that 5th star at the far right. Make sure you hit that 5th star, this will be the default rating copied over in the URL you share with your clients and customers. Scroll down to the “Rate and Review” section and click on the 5th star – at the far right. NOTE – Google has changed the way their local business listings function – and the name of the service – many times over the years. Depending on where in the world your business is located – this process may not work for your Google My Business listing. If you cannot get this method to work for your Google My Business listing, I am happy to do it for you – fill out this form to get started. I’m always testing to improve this method – sign up for our newsletter to be notified of updates to this article. I recommend creating a Bitly account and logging in before creating your link. When you’re logged in and create a short link, you will be able to view analytics data about the clicks on your Bitly shortlink. Recently, Google has started enforcing a goo.gl policy for their short links that they had not previous enforced. It is not super-clear, but it appears that Google views that big long URL we created above as some sort of “shortlink” that performs a redirection, and they do not allow goo.gl to be used for redirected shortlinks. Currently, there are mixed reports. Some goo.gl 5-star Review shortlinks still work as expected and sometimes goo.gl allows new 5-Star Review shortlinks to be created, other times it does not. You can create this redirection in the .htaccess file of your web host. The .htaccess file is in the root of your website. You can usually access it through your hosting control panel (or cPanel) or via FTP. In your .htaccess file, add the redirection in the format below on a single line. If you need help, you can pay us to create this professional review URL for you. Would you like us to send you a tutorial video on how to create a personalized /review link at your domain name? Now that you’ve done all the hard work: get the customer, make the customer happy, created a tool to help you get the review, there’s only one thing left. Ask for the review. My advice when asking for a review – keep it short and sweet. You’ve already made the customer happy – you don’t want to turn that all around by annoying them now. Would you mind taking a moment to leave Search Centered a short and honest review on our Google My Business listing? Instead of asking for a generic review from your customers, give them some hints to encourage them to add some of your business service and/or product keywords into their Google My Business review. • What do you like about working with us? • Have you used other products or services we offer? • Do you have any tips to offer for others who use our services? Another tactic we use is to simply text the link to the client. Of course this takes a little more finesse, but if you regularly text with clients, this method is an even quicker way to get that review. Do you need a Google account to leave a Google My Business review? As mentioned above, and shown in the step-by-step screenshots above, your client must have a Google account of one type or another to leave a review of your business on Google My Business. Google’s goal is to be as accurate as possible. Allowing anonymous reviews does not promote accuracy, and allows for misuse of the Google My Business review system. 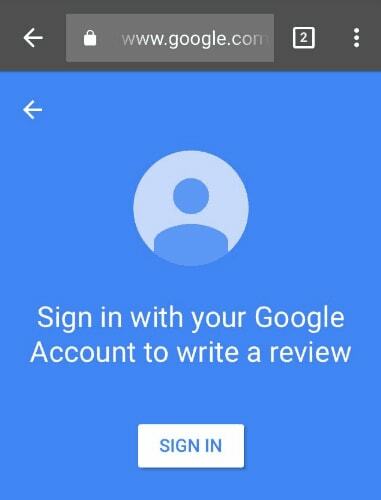 Your customer will always have to be logged in to Google to leave a review of a business on Google My Business. If that’s a problem for you or your customer, maybe your customer has a Facebook account, ask your customer to review your business on Facebook instead. If nothing else, ask you customer to email you a testimonial that you can display on your website. At Search Centered Digital Marketing, most of our clients come to us needing a new website, needing search engine optimization (SEO) for their existing website or needing one of the other various digital marketing services we offer. With every new client, we ask if the client has a Google account, any type of Google account – Android, YouTube, Gmail, Calendar, Drive, Google My Business, Analytics, Search Console, Voice, AdWords, Google+, Blogger, AdSense, etc – Many times clients are unaware all these websites and services are Google. Any of these accounts will work. If a client does not have a Google account, we walk them through the process or create the account for them. We always integrate Google Analytics and Google Search Console into a client’s website – Both Google websites. Both requiring a Google account. As well, we create a Google My Business listing for their business or website… Again requiring a Google account. Gmail is the most used free email service on the internet, more than half of all cell phones in the United States are Android, and YouTube is the 3rd most visited website on the entire internet. There’s a very good chance your customer already has one of these accounts. Stop hoping customers will leave reviews. Start asking for reviews and top it off by making it even more simple for customers to review your business. Share this article with your colleagues, networking groups and chambers of commerce! Oh yeah… Send a tweet to thank me for writing this article. I’ve already created on for you! Flattery will get you everywhere!